Casino Action is a reliable online gambling provider which welcomes players from around the world. 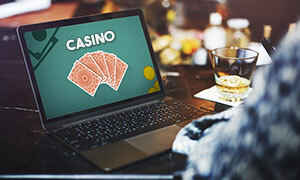 The casino impresses with an elegant, well-organized website and is home to over 500 games, developed by gaming software frontrunner Microgaming. This alone serves as a guarantee players, who join Casino Action are in for an unforgettable gaming session as each game available impresses with stunning visuals, authentic sound effects, and intuitive gameplay – the trademarks of all Microgaming creations. The casino’s diverse catalog consists of hundreds of video and classic slots, an impressive number of video poker variations and of course, various traditional table games the likes of blackjack, roulette, baccarat and classic table poker. A subsidiary of the well-known Casino Rewards Group, Casino Action is rather generous to its player-base in terms of bonuses and promotions. Newcomers are granted a generous welcome bonus, not to mention, they get the chance to win massive progressive jackpots which often reach millions. In addition, Casino Action allows for gaming on the move as it is compatible with widespread portable devices, like those running on Android, iOS and Windows. 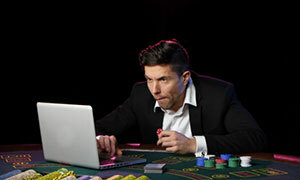 Players can enjoy their favorite games from the comfort of their surroundings by simply loading the casino in the browsers of their smartphones or tablets. Those, who need information or assistance are provided with excellent customer service as Casino Action’s multilingual support team is on hand at all times via the Live Chat facility to answer inquiries and help players manage their accounts. In the interest of transparency and fair play, Casino Action publishes the payout percentages of every single game on its portfolio. The casino is fully legitimate and holds licenses, issued by the UK Gambling Commission and the Maltese Gaming Authority. Owned and managed by Apollo Entertainment Limited, Casino Action was launched in 2004. Minimum deposits amount to £40. The minimum withdrawal amount is set at £50. At the present moment, there are no active No Deposit bonuses available. Make sure you check the Promotions section of Casino Action to keep track of the latest offers. To qualify, a minimum deposit of £40 is required. The 1st deposit bonus is subject to 60x wagering requirements. The following four bonuses come with wagering requirements of 60x their amount. 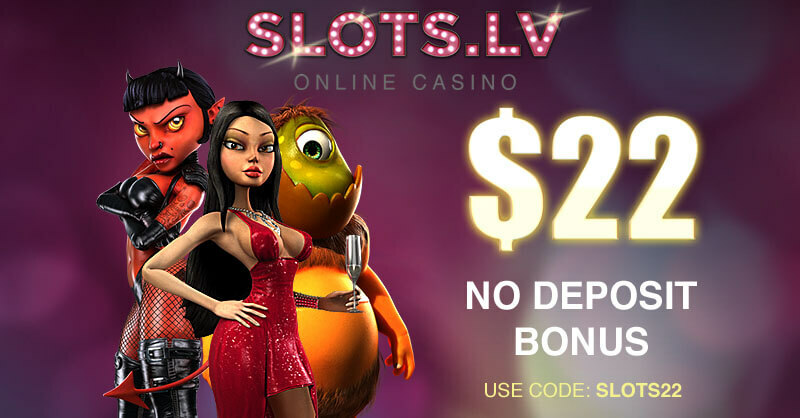 Casino Action players are credited Double Points on selected slots such as Immortal Romance. In addition, the top 5 players on selected slots can win a £100 bonus each day. 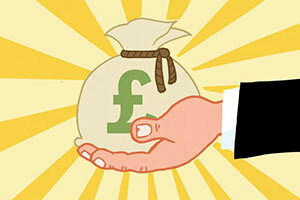 A minimum deposit of £20 is required to qualify for the second offer. 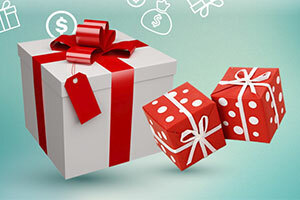 Active players at Casino Action are awarded Loyalty Points each time they make a real-money wager. When players collect 1,000 Loyalty Points, they can start exchanging them for free casino chips at the rate of 100 Points for £1 or their currency equivalent. 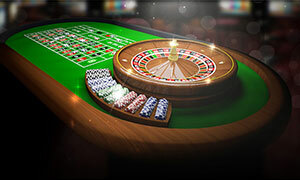 Casino Action is powered by software giant Microgaming and features over 500 high-quality games, courtesy of the developer. Players are presented with two options – loading the casino lobby in Flash mode or installing the casino’s downloadable client. Win big by joining the action on games like Cash Splash, Mega Moolah, Treasure Nile, King Cashalot, and Fruit Fiesta. Casino Action is home to a diverse gaming catalog encompassing advanced video slots, traditional 3-reel slots, video poker like Deuces Wild and Jacks or Better, 31 blackjack variants including European and Double Exposure Blackjack, European, American and French Roulette, Craps, Baccarat, Sic Bo, Poker Pursuit, Red Dog, 3 Card Poker, and Cyberstud Poker. Less experienced players can head to the Casual Games section where they will find Ballistic Bingo and Electro Bingo as well as a variety of fun scratch cards the likes of Granny Prix and Golden Ghouls. 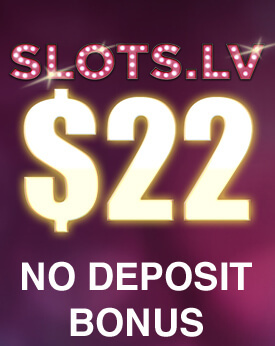 Presently, Casino Action offers no Live Dealer games. The casino’s gaming catalog is available in a mobile format and runs smoothly on iOS, Android and Windows smartphones and tablets. The casino lobby can be loaded directly in the portable devices’ browsers as no downloadable application is available at the present moment. Casino Actions accepts a vast range of secure and convenient methods of payment. These include direct bank transfers, eChecks, credit and debit cards by Diners Club International, Visa, Maestro, and Mastercard, PayPal, Skrill, Neteller, Qiwi, PaySafeCard, iDebit, InstaDebit, EcoPayz, Entropay, Euteller, Giropay, Sofort, Trustly, and Multibanco. Deposit methods are country-specific and some of them may be unavailable in the country you reside in. The online casino is available in 12 languages, including English, French, German, Danish, Italian, Spanish, Dutch, Norwegian, Portuguese, Russian, Finnish and Swedish. Casino Action holds licenses granted by the Malta Gaming Authority (number: MGA/CL1/501/2008) and the UK Gambling Commission (number: 000-038620-R-319310-004). The casino is a subsidiary of the Casino Rewards Group. For those who enjoy gambling but have no opportunity to visit a land-based casino, interactive gaming has become an alternative source of entertainment. As the industry started gaining more popularity, numerous online casino operators have appeared on the scene. This has made the choice of a proper gaming website pretty difficult and players often strive to pick the most suitable one. An advantage that all good virtual casinos should offer is game diversity. When it comes to online gambling, there is no doubt that Casino Action can offer players an abundance of games that can suit the taste of different types of gamblers. This is why you should waste no time and open an account at this wonderful web-based casino. By joining Action Casino, you will be granted access to numerous fun and rewarding games that can make your online gambling experience worth it. The games of Casino Action run on a Microgaming software platform which guarantees the high-quality of each title offered by the interactive casino. This company is one of the leaders in the iGaming industry and the reason for that is the hard work it puts in its gaming products. Patrons of the virtual casino will have the chance to explore the wonderful option powered by Microgaming and enjoy a great casino experience in the comfort of their own home. 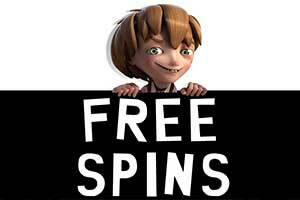 For those who are excited to start their spinning adventures at Casino Action, there are plenty of slot variations available for online gamblers. Since this type of casino entertainment is popular with gambling enthusiasts, this interactive casino has prepared many exciting and rewarding slot titles. This way players will be able to pick the game that will entertain them and possibly boost their gaming balance. The great advantage of playing at Casino Action is that you will have the chance to pick the game that will perfectly suit your taste. 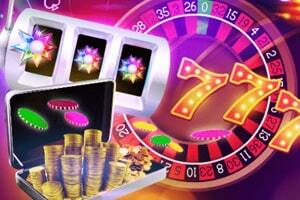 Patrons of the online casino will be able to enjoy some of Microgaming’s innovative, fun and lucrative slots. The video slots that are offered at this interactive casino entice players with exciting themes, special symbols and multiple paylines. This way slot fans can enjoy their spinning time to the fullest and maybe even sweep generous wins. Even though Casino Action offers plenty of video slots this does not mean that fans of classic slot machines will feel neglected. 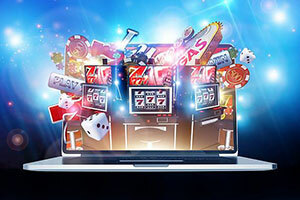 Thanks to the various games inspired by fruit machines, interactive players have the chance to enjoy their time at this web-based casino to the fullest. Many players think of roulette when they hear the word “casino”. This is definitely one of the classics that gambling enthusiasts enjoy the most and often look for fun and rewarding variants of the game. If you join Casino Action, you will be able to play several roulette variations that will make your time at this interactive casino more thrilling. Microgaming is definitely one of the major game providers in this industry and the quality of the products it develops is definitely very impressive. 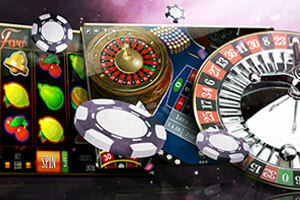 All of the roulette versions available at Casino Action have crisp graphics that can entice any player. The advanced betting options are also another excellent feature of the titles powered by the leading software company. Thanks to the games at this web-based casino, roulette fans will enjoy a great experience without even setting a foot inside a land-based casino. One of the best advantages of having a wide range of options is the fact that you can choose the game that fits your preferences. This is why at Casino Action, players can enjoy European, French and American roulette, as well as other variations of the classic table game. 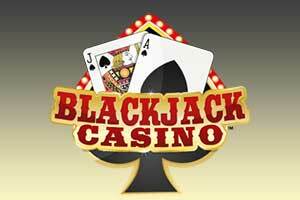 Another popular game that many casino fans enjoy is blackjack. The thrill that many players enjoy while trying to get a blackjack is now available online as well. This allows interactive gamblers to have a great time at virtual casinos. As a proper website for gambling enthusiasts, Casino Action also offers plenty of blackjack variants. As soon as you log into your gaming account, you will be able to find several games inspired by the classic blackjack tables you can see at top-notch land-based casinos. If you load the gaming library of Casino Action, you will come across titles such as Atlantic City Blackjack, Vegas Strip, as well as single and multi-hand blackjack variants. You will also find blackjack variants that utilise American rules, as well as, ones that use European rules. This way you will have the freedom to pick a game that will suit your taste the best and will allow you to boost your gaming balance. There are many players who enjoy gambling on video poker. The game is indeed quite intriguing since it still includes a tad of random luck but the final outcome of the game also depends on the actions of players. Since video poker is considered fun by many gambling enthusiasts, online casinos offer many of its variations. Casino Action is a wonderful destination for fans of the game as it offers quite a few video poker titles. If you are a video poker expert, then you probably know that picking the right game plays a key role in enjoying good payouts. If you join Casino Action you will be presented with an abundance of video poker variations which will allow you to pick the one with the best odds. Many casino enthusiasts claim that if one uses the proper video poker strategy, he/she can actually turn the odds in his/her favour. With the various games in this category, members of the interactive casino will have the opportunity to test out different tactics and possibly enjoy great payouts. It is common that many gambling fans embark on adventures that may bring them major prizes. Thanks to progressive games, those virtual players who are extremely lucky can sweep amazing rewards that can make them millionaires in no time. At Casino Action there are quite a lot of opportunities to win massive cash prizes. Thanks to the progressive games at the web-based casino, gambling enthusiasts have the chance to change their lives in an instant. When you head to the section with jackpot games, you will be able to see all of the titles that offer massive prize pools that are constantly increasing thanks to the bets made by casino patrons. If you are lucky enough and you have made a maximum bet, you will be able to win the millions that everyone is dreaming about. Some of the games that currently offer the biggest progressive jackpots include Mega Moolah and Major Millions. In addition to the typical casino games that are available at Casino Action, virtual players can also revel in other titles that will allow them to further explore the opportunities provided by the interactive casino. If you are tired from the same old casino titles, you can always try the other games that the online casino has in store for its patrons. Bingo and Keno are a couple of the sources of entertainment that you will be able to relish at Casino Action. This type of games can be a great way to lend a colour to your gaming adventures. What is more, the so-called specialty games that are offered at this web-based casino can boost the gaming funds of players significantly if luck is on their side. With this category, Casino Action can truly present its patrons with diversity and high-quality gaming experience. How do I join Casino Action’s VIP Loyalty Programme? Players, who register with a real-money account and place their first real-money wager, automatically become members of Casino Action’s VIP Loyalty Programme. Shortly after their registration has been completed, newcomers receive an email with a link which will redirect them to the VIP Club page, where they need to set up their VIP passwords. Bear in mind the VIP Club passwords need to be different than those you have specified when opening your account. From this point on, players can start collecting Loyalty Points and exchanging them at the rate of 1,000 points for £1 (or the currency equivalent) in free casino chips. While deposits at Casino Action are processed immediately, this is not the case when it comes to withdrawals. First of all, there is a pending period of two business days for verification purposes during which time players can reverse their withdrawal, if they wish. How long you need to wait until you receive the funds depends on the payment method you have opted for. For instance, withdrawals with cheques via regular mail are the slowest as they take up to 21 business days. Those, who withdraw via credit/debit cards by Visa, Maestro and Mastercard will receive their winnings 3 days after the pending period is over. Cashing in via e-wallets like Skrill and Neteller is the fastest as it requires 1 to 2 business days after the pending period. Players, who set up a real-money account at Casino Action can rest assured they will be treated with fairness and courtesy. The outcome of each blackjack hand or every roulette spin is determined by a Random Number Generator (RNG) to ensure all players have equal chances of winning. Casino Action is also highly regarded for its transparency as the payouts of every single game on its portfolio are openly published on the website for everyone to refer to. More importantly, Casino Action’s RNG is reviewed on a regular basis by independent testing agency eCogra which further cements the operator’s excellent reputation.